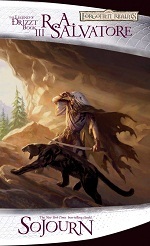 Far above the merciless Underdark, Drizzt Do'Urden fights to survive the elements of Toril's harsh surface. The young drow begins a sojourn through a world entirely unlike his own -- even as he evades the dark elves of his past. He begins to understand his new home and its inhabitants, but acceptance among the surface-dwellers doesn't come easily.